WASHINGTON, Feb. 23, 2017 /Christian Newswire/ — Today, Larry Klayman, the founder of both Judicial Watch and now Freedom Watch, and a former federal prosecutor, announced that the Federal Communications Commission (FCC) had commenced an investigation into a complaint filed by Freedom Watch’s Leftist Media Strike Force (see www.leftistmediastrikeforce.org), alleging that the network had engaged in criminal activity by inciting “Trump haters” and terrorists with the plan that if President-Elect Trump, Vice President-Elect Pence, and the Speaker of the House were assassinated on the steps of the Capitol before their swearing in last January 20, then an Obama cabinet secretary would be in line to inherit the presidency. Klayman had asked the FCC to take remedial action against CNN, including but not limited to heavy fines and removing and revoking any broadcast licenses. Klayman also urged FCC remedial action against CNN’s ultra-leftist president Jeff Zucker. Zucker previously had a falling out with Donald Trump over the president’s prior show “The Apprentice,” when he ran NBC. The hate-filled Zucker was forced to leave NBC under a cloud when through bad management he drove it financially and otherwise into the ground. He then became the head of CNN. In addition, the FCC complaint was copied and sent to the U.S. Secret Service, with a request to also investigate and take remedial action, as it is a felony to suggest the assassination of the president and vice president, and other government officials, such as the Speaker of the House. For further information or an interview, contact daj142182@gmail.com or (424) 274 2579. The FCC complaint and the FCC’s announcement are embedded below. See www.leftistmediastrikeforce.org and www.freedomwatchusa.org. Thank you for your submission. Your request has been received and assigned Ticket No. ########. Your complaint provides valuable information to spot trends and practices that warrant investigation and enforcement action. We do not resolve individual complaints about this issue and, there will be no status information to report on your complaint. 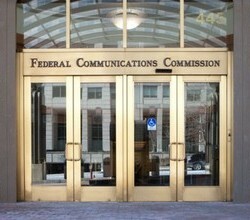 If the FCC needs more information about your complaint, we will contact you directly. Each year, the Enforcement Bureau takes hundreds of actions on behalf of consumers that result in tens of millions of dollars in penalties. These actions encourage companies and individuals to abide by the law and reduce future misconduct. The information you provided us will continue to be available internally within the FCC to inform the Commission’s enforcement and policymaking processes. Thank you for your help in furthering the FCC’s mission on behalf of consumers.